Dial out by clicking on any number within your browser or CRM. 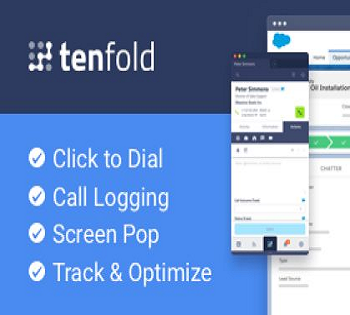 Click-to-dial eliminates manual dialing and speeds up outbound calling; with support for international country codes and formats. Increase connect rates by presenting a local number on caller IDs. Immediately recognize customers with a call popup that shows relevant customer information from CRM for both outbound and inbound calls. Take notes and log call outcomes right on the popup. Automatically capture and log all call data to CRM, eliminating manual input and improving CRM adoption. Automatically transform notes like “follow-up next week” into actionable tasks. Tag your teammates and create tasks intuitively by using @mention right in the call notes.